The Irish Film Board (IFB) has announced the successful teams for its short filmmaking scheme, SHORT STORIES 2. 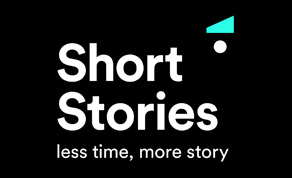 SHORT STORIES invites filmmakers to use their imagination, creative story-telling and visual talent to excite audiences with succinct, inspiring and even entertaining films. SHORT STORIES are live-action or animated fiction films between 2–5 minutes in length and this year, the IFB invited filmmakers to examine the theme of IDOLS. Frida Think, to be written and directed by Maya Derrington and produced by Paul Rowley of Still Films.Frida Think will tell the story of a woman who walks into a party dressed as Frida Kahlo, only to find that her version of unique has mass appeal. Procession, to be written and directed by Jeda de Brí and produced by Claire McCabe of 925 Productions. The film is to be set in a bedraggled community of misfits who gather to mourn one of their own, the only way they know—a raucous, elaborately eccentric, brass-band funeral. Mary, to be directed by Shaun O’Connor, written by Jonathan Hughes and produced by Sharon Cronin of Character Films. The short will centre on Charlie, who, after managing to destroy the town’s beloved Virgin Mary statue, does the only thing he can do: frames his older brother. Honest, to be written and directed by Matthew Roche and produced by Hazel Cullen of TW Films. The film features a young boy whose confrontation with the Son of God makes him question his faith and helps restore his honesty. SHORT STORIES 2 will premiere at the 2018 Galway Film Fleadh.